A few months ago when I took a peek at Eclipse: New Dawn for the Galaxy, I may have let slip that I was a student of Astrophysics. Sitting in or on an observatory in the middle of winter was all very well, but it did have a habit of reducing one’s tackle to the size of a cashew nut given that the observatory in question was in Scotland. Thankfully it wasn’t all steering telescopes and going cross-eyed trying to discern one speck of light from another. Part of my study of all things “space” involved the formation of stars and consequentially, the formation of planets. I could start harping on about accretion disks, gravitational fields and potential wells, but I’m sure Steve doesn’t want to lose our readership. 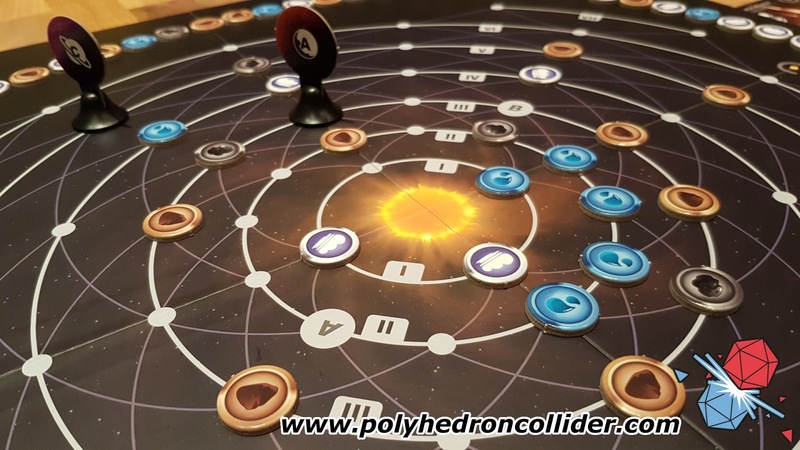 Having said all that, it seems that Game Salute have an interest in planetary formation because they’ve recently released Planetarium following a Kickstarter campaign. Every time I hear that word, I instantly think of the South Park episode – not because of Cartman’s cheesy poofs try-out, but because Dr. Adams can’t pronounce the “T” in Planetarium. According to my better half, saying that repeatedly for 6 weeks starts to wear thin. I fail to see the problem myself. I said I wouldn’t mention accretion disks, but like the pro-Brexit supporters claiming everything would be ok, it was a flat out lie. It turns out that solar systems are formed from accretion disks and that’s exactly what Planetarium is aiming to simulate. In an accretion disk, random space detritus orbits the star and over millions of years, stuff comes together through gravity and forms bigger lumps of rock or gas which eventually become planets after they’ve hoovered up more matter than a rugby team at an all you can eat buffet. Planetarium kicks off at this point – there’s 4 planets orbiting the star and a board full of lumps of stuff; rock, metal, water and gas. Everything orbits the star in a clockwise direction and it’s up to the players to determine where this matter ends up. 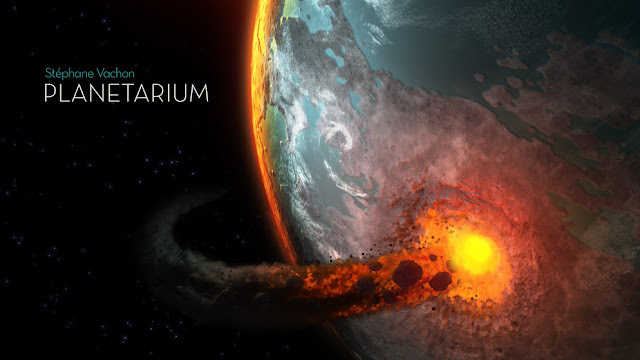 The aim of Planetarium is to accumulate victory points; achieved by playing Evolution cards of which there are three kinds – Low, High and Final. The former two dictate how the planets evolve in their life-cycle and determine if they can sustain life or not (Hospitable or Inhospitable). Each card is worth a certain number of VPs depending on its complexity, with the Low versions being easier to achieve, but reward with fewer points than the High versions. Players move resources around into planets or move planets into resources, at which point they are assigned to that planet for that player. Objects can move into and out of orbits, which is a nice way of representing the chaos in a newly forming star system. Planets can sweep orbits out to hoover up anything in their path, which is a useful move. 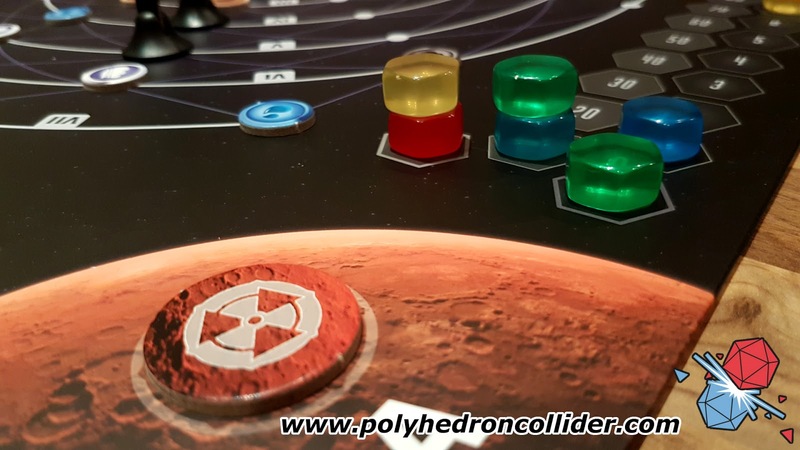 Cards are played onto specific planets using the resources assigned. Simple enough so far. 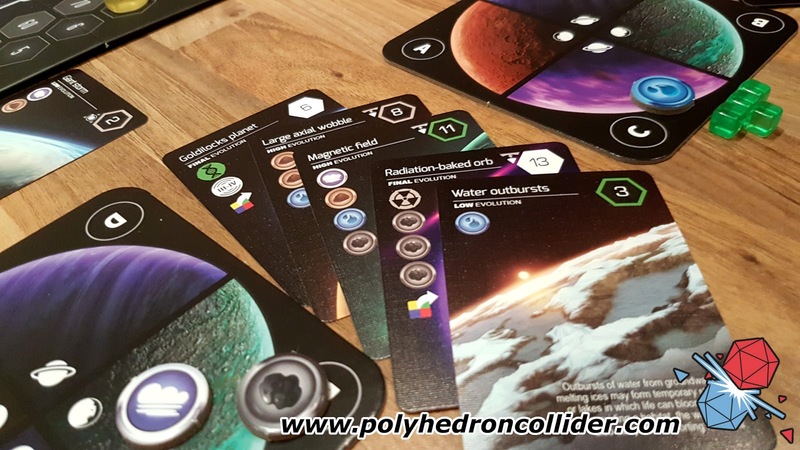 The fun begins when you take into account the Final Evolution cards which can only be played in the final turn of the game and can only be played on planets that meet the specific conditions on the Final Evolution cards. Add into that the game speeds up about two-thirds of the way through and things start to escalate more quickly than two rival football fans arguing about the FA Cup result. 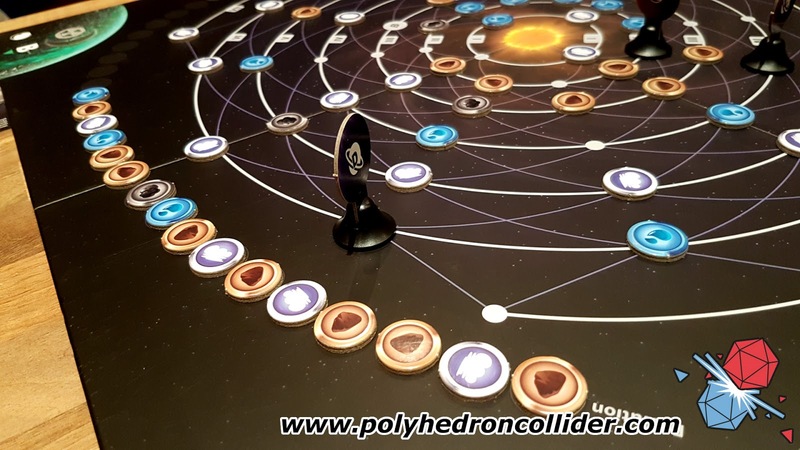 So the strategy of the game comes in as you bag as many points as possible whilst trying to set up your end game, which leads to a lot of fun as players shift planets from one orbit to another, change their hospitability and even play cards onto them as you can’t play on a planet at the end if you haven’t played on it before, which seems reasonable. One thing I must mention is the appearance of Planetarium. It’s gorgeous. The artwork is amazing and all the components look and feel fantastic. The iconography is all clear, makes sense and is repeated on the board for all to see. A really well-made game. For $29, it was a steal, although the cost of shipping was worthy of a backstreet organ harvester and especially galling given the game isn’t exactly Kingdom Death Monster in size or weight. Even then, it wasn’t a terrible price all things considered and it’s got a few nice KS extras chucked in. Current RRP is £39.99. Which is a tad expensive for what you get but hunt around online and you can get the game for a more reasonable price. The game is quite quick – even with the full complement of four players you can rattle through it in about 30 mins and definitely worthy of “gateway game” status. The play-throughs I’ve had all ended up in some kind of planetary wrestling match as everyone tried to move their chosen end-game planets into the right positions before some douchebag (usually me) came along and ended things far too early, like the teachers at a high-school disco. Couple that with the mind-bending that occurs as players try to work out what they need, where they want to be and then unleash a volley of abuse at the player who’s just hoovered up the one resource upon which their entire plan rested and you’ve got a very fun, very easy to play game. And you might even learn something about how we originally came to be. Unless you’re from Wrexham, then it’s anyone’s guess. This review is based on a full retail copy of the game bought through Kickstarter.